Check out our NEW Dermalogica Facials! New for 2019, we are bringing in a brand new facial service & product line to offer a different range of facial services to our clients. Stay tuned for our service start date! We are learning all the wonderful benefits of the products now! The pH value of the human skin is somewhere between 4.5 and 6. Ask your esthetician why it’s important and what you can do to help keep it in that range. Save up to 15% on services. Series available for most services. Ask a Customer Service Associate for details. Recommended as a first facial. Each facial begins with an analysis of your skin type and needs. Each facial is customized using specially formulated products to repair, balance and restore skin to youthful radiance. 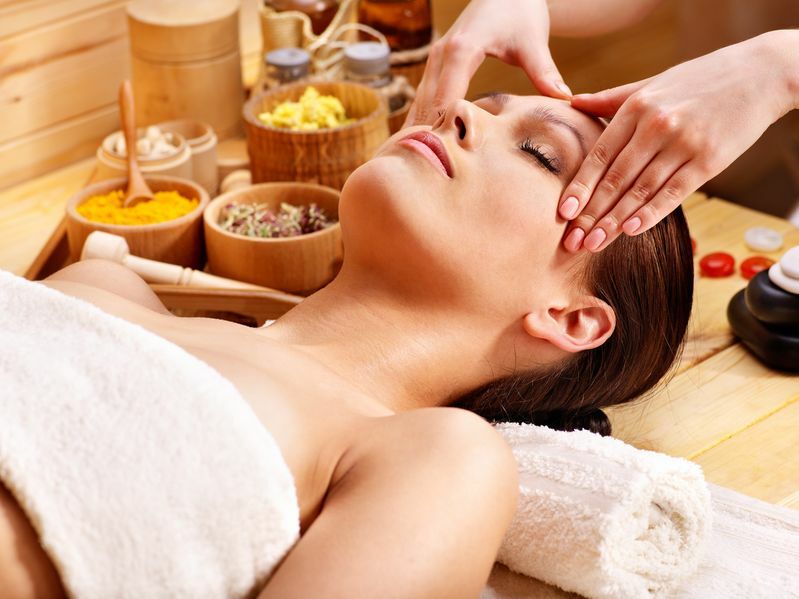 Your treatment includes: cleansing, exfoliation, steaming, toning, massage, mask and botanical moisture creams. Unclog pores and help keep your skin free of acne and blemishes. Your treatment includes a clarifying cleanse and steam with a purifying mask chosen for your skin type. Care for delicate or sensitive skin. Gentle steam and soft, natural cream cleansers first clear off debris and dead cells. Soothing plant extracts help to nourish and calm easily irritated skin while imparting softness and vibrancy. Designed for your back, this treatment offers deep pore cleansing, exfoliation and an appropriate mask for your skin. Re-hydrate chronic dry or weather damaged skin. Hydrating serums, essential oils and hydrating fruit mask act to heal and replenish your skin with this revitalizing treatment. Good for all ages. This repairing facial fights the signs of environmental free radical damage. Double cleansing and exfoliation will detoxify the skin to bring back its natural vitality. Diminish fine lines and skin discolorations. This aromatic fruit acid therapy exfoliates dead skin cells to allow new cells to surface for younger looking skin. A restorative and preventative anti-aging treatment for all skin types. Lift, firm and tighten your skin. A masque lift and micro-peel, plump, tone and firm your skin for a natural face-lift and a smoother, clearer complexion. This new facial combines anti-aging properties with lifting optimization for a 2 in 1 service experience, leaving you with more youthful rejuvenated appearance! An exceptional anti-aging facial. The treatment has a double exfoliation with draining massage techniques. Excellence Code focus is for mature skin types and helps with deeper wrinkles, discoloration of the skin and helps with hydration and firmness. The mask is biocellulous. Hydration is 115% after 3 hours & 74% after 8hrs. Your skin is well hydrated and firmness is greatly improved. Refresh and cleanse your skin. Combines cleansing, exfoliation and hydration. Customized appropriately for your skin type. Smooth fine lines, wrinkles and diminish scarring. Lighten age spots. Microdermabrasion is preferred by many as a safe, non-invasive and non-toxic treatment to reduce the effects of aging, acne, weather and sun. Each session includes a cool, moisturizing mask to hydrate, soothe and soften your skin. Buy Five get One FREE! Microdermabrasion produces the best results after a series of treatments. Recommended. Additional skin smoothing treatments are available to help you look your very best. This gentle treatment delivers more dramatic and consistent outcomes, where aggressive treatments and products will only worsen irritation and inflamation.